Classic and timeless, and simple and chic curb chain will always be in style. This curb chain is crafted from 9ct yellow gold and measures 22". Wear alone for a minimalist look, or combine with other pieces to enhance your own unique sense of style. 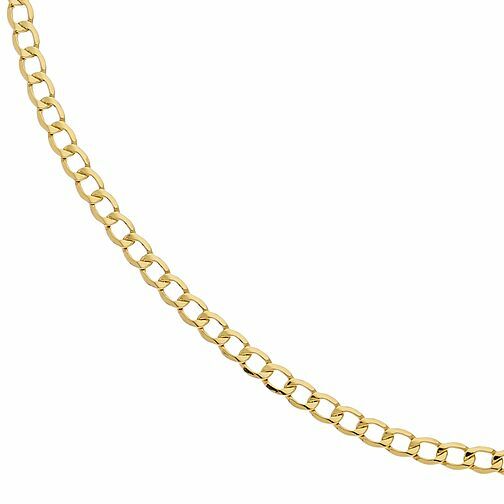 9ct Yellow Gold 22" Curb Chain is rated 4.6 out of 5 by 13.